KSEE 2013 – Full Program! Title: Early phase need analysis – Can we ease systems integration? Abstract: Contractors in the oil and gas industry are experiencing an increased pressure to deliver projects at a lower cost and at a shorter schedule. Extensive requirements combined with strict governing documents restrict project designs. Therefore, contractors need efficient governing processes that capture customers’ needs and ensure that system requirements relates to these customer needs. In the execution phase of a project, the engineering degrees of freedom are limited. In the early project phase of concept and study, the basic design is established. The design freeze occurs in the tender phase, based on a best interpretation of customer needs. This causes any changes made in the execution phase to be costly and have the potential to impose severe subsequent consequences. Proper use of systems engineering ensures a minimal amount of late design changes. The most important systems engineering process in such a context, is the capturing of customer needs and definition of user requirements. If the customer needs are not identified before the startup of the execution phase, the project risks not identifying them before the systems integration phase, when the subsequent changes have the largest cost and schedule impact. We researched the processes used to capture system requirements today, and the potential impact of using systems engineering techniques for this purpose. We uncovered multiple gaps in the current process of capturing customer needs, which subsequently led to the definition of system requirements based on international standards and best practices, instead of actual needs. Our research also showed that with a process of capturing customer needs based on systems engineering techniques, as much as 92% of the costs imposed by late design changes are avoidable. Biography: Eldar Tranøy is a Systems Engineer in Aker Solutions. He has 5 years’ experience from the Norwegian offshore industry. His project experience includes EPC projects for semisubmersible drilling vessels and EPC projects for subsea light well intervention equipment. Since 2011 he has been working as a systems engineer in work over and well intervention projects for the Norwegian Continental shelf. He has education as a Subsea engineer from Bergen University College and as a Systems engineer from Stevens Institute of Technology and Buskerud University College. Title: A software centric approach to Electronic Systems Engineering. Abstract: The underlying motivation would be the fact that SW tends to represent the major effort in engineering of modern systems, and should be given high priority in the the systems engineering project phase. This may again prove beneficial during the system integration phase. Title: Why is Systems Integration understood so poorly? Reflections on 3 decades of unforeseen failures. Abstract: Nearly all systems developments run into problems in the late project phases, where unforeseen surprises disrupt careful planning. We will discuss a framework for systems development and integration and use a number of examples to explore what happens during systems integration. We assert that the entire project plan should be designed in reverse order, taking systems integration as driving concern. Title: Changing A System From Within – And Get Hit By The Unexpected Surprises. Abstract: Continuous improvement of manufacturing systems requires concurrency of systems engineering with production. Production is mostly driven by delivery while manufacturing systems engineering tends to be more driven by cost reduction and a search of excellence. Systems integration of new or modified systems represents potential risks to the production system and therefore a threat to the scheduled delivery to the customers. 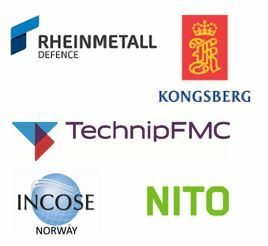 At GKN Aerospace Norway we are introducing a Product Lifecycle Management (PLM) systems to handle all information related to products, production processes, production facilities and resources required for production. The integration of the PLM-system poses both technical and organizational challenges. Biography: Andreas Thorvaldsen has nearly twenty five years of industry experience related to materials development, manufacturing and systems development both in Norsk Hydro and GKN Aerospace Norway. He received his doctorate in 1997 on grain growth in polycrystalline materials. From 1997 until 2005 he worked at Buskerud College where he started the present program on Systems Engineering. Currently his is manager of continuous improvement at GKN Aerospace Norway. Title: System Integration at ASML: linking technical content, test configurations, timing… and people! Abstract: ASML is one of the world’s leading manufacturers of chip-making equipment and has a lot of experience on System Integration, i.e. how to get from tens of thousands of hardware/software components to a fully integrated system that performs at the required nanometer-level specifications. The best practices from recent product integrations are combined and refined into a common way of working for System Integration that provides clarity and visibility to everyone involved. This way of working describes the definition and execution of the system integration strategy via so-called PERTs and configuration baselines, which have a strong link to the product breakdown structure and performance budgets of Systems Engineering. Furthermore, it defines a framework for consistent progress tracking of all integration steps that need to be performed by the delivering projects. Finally, it provides a structured way for making integration and test plans such that the timing of the integration steps and the required project deliveries is always clear. This way of working is key in managing the integration phase “where the going gets really tough” and where the projects need to deliver their hardware, software, and issue solutions to the test systems in the right order, at the right time, and with the right quality. Biography: Niels Braspenning received the MSc. and Ph.D. degree at the Systems Engineering group, part of the Mechanical Engineering Department of Eindhoven University of Technology (TU/e), the Netherlands. Since 2008, he has been working in the System Integration department at chip-making equipment manufacturer ASML in Veldhoven, the Netherlands. In the role of System Test Engineer, he has experienced the various aspects of system integration & testing, involving (sub)system integration strategy and preparation, configuration management, system reliability, issue management, and execution planning & support. Since 2010, in the role of System Test Architect, he has been focussing on high-level, full-product integration strategies, integration-driven progress tracking towards program management, and on establishing a common Way of Working for the System Integration process to be used in all programs at ASML. Abstract: Imagine a Gas Plant to be developed in the middle of the North Atlantic Ocean at 600m deep. Just think that this Plant shall be fully operated from an island located at 143km from there, and keep all their citizens warm for 30 years. This is how you could picture Laggan Tormore, a challenge FMC Technologies is eager to manage! Such unforgiving conditions will require development of a Complex System composed of advanced specific products never designed before. Interfaces are becoming critical, and all efforts shall be made to secure them prior to launching equipments that shall never see the daylight for decades. Time needs to be taken at completion of the Project, and prior to delivery to analyze, review and simulate as close as possible to the reality of the field the conditions of installation and operation of our equipments. This is the true purpose of System Tests. Biography: Benoit Le Bihan is a Project Manager for overall Subsea Production Systems. He has been managing Design, Procurement, Fabrication, Testing and Installation of Subsea Projects for the past 10 years. Since he graduated with a MSc. In Mechanical Engineering in 2003, he built up his experience via active management directly into the field (Fabrication Sites, Offshore Operations, management of System Tests). He is strongly involved in Lessons Learned for all System Projects and Technical Reviews for more specific Subsea Solution. He lately managed the overall System Testing for Laggan Tormore Project. Title: Validation risks of using development methodologies in a hierarchical fashion – When contracts meet architecture ownership. Abstract: Design methodologies that are based on decomposition concepts are often perceived and used hierarchically. However, the validity of such use is not trivial, especially with regards validation activities. Enforcement of such methodologies at different levels of the system decomposition, blended with contractual obligations, often result in vanished responsibilities on validation activities, which threatens design validity and consequently integration success. This talk revisits the concept of validation from the perspectives of requirements ownership and contractual obligations. By clearly identifying who holds responsibility on validation activities by ‘methodology’ instead of merely by ‘contract’ risks related to system integration can be reduced. Biography: Alejandro Salado is a systems engineer at Kayser-‎Threde GmbH (an OHB company). Experienced in the development of manned and ‎unmanned space systems he is currently acting as verification manager for EnMAP’s primary payload and is leading an initiative to transform it into model-centricity. In addition, Alejandro is a doctoral candidate with the ‎School of Systems and Enterprises at the Stevens ‎Institute of Technology, for which he was awarded the ‎International Fulbright Science and Technology Award. ‎His research interests include the generation and ‎prioritization of requirements, the design of elegant ‎systems, and the development of affordable space ‎systems. Title: Systems Integration: What Are We Waiting For? Abstract: The common approach to integration is that it doesn’t really begin until the assembly of actual product. However, there are many examples of where earlier actions did or could have prevented serious problems and reduced the costs of late changes. Several examples of these incidents will be explored and the lessons learned noted. Biography: Jim Armstrong is an Industry Professor at Stevens Institute of Technology and has practiced systems engineering for 45 years performing various roles including configuration management, test, deployment, chief engineer, program manager, and program element monitor. For the last 20 years, he taught, consulted, and appraised systems engineering in industry and government. He has contributed to many of the systems engineering standards and models. He has been a member of INCOSE since its second year and has served in several local and international leadership positions as well as being a regular presenter at the International Symposia.